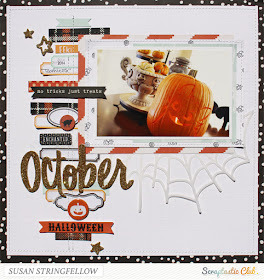 And for my example I used the October Scraptastic Club "This is Halloween" kit, add on kit, and Digital Print and Cut files. I really like your inspiration page here, Susan! 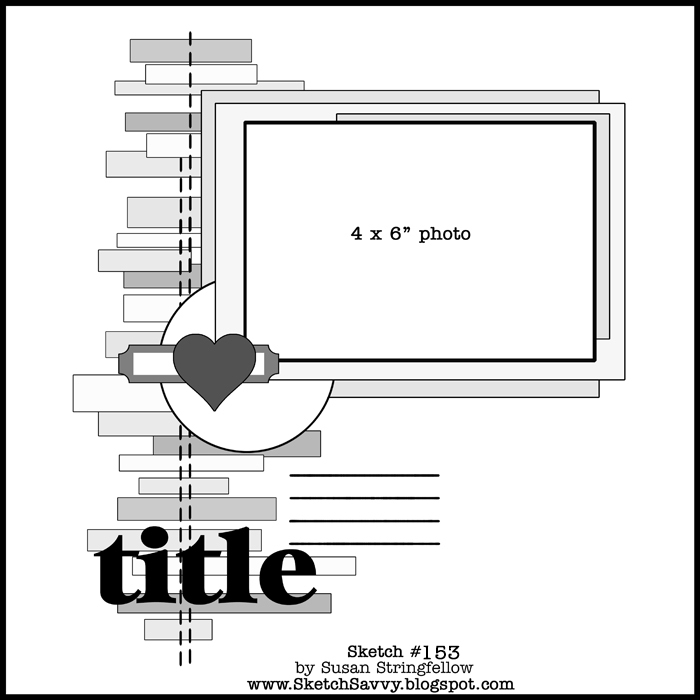 Those strips and words , along with the web and big title, are perfect for that fun photo!